Beautiful Girl presents this simple but important message: that to be born female is a very special thing and carries with it unique gifts that must be recognized and nurtured. Dr. Northrup believes that helping girls learn at a young age to value the wonder and uniqueness of their bodies can have positive benefits that will last throughout their lives. 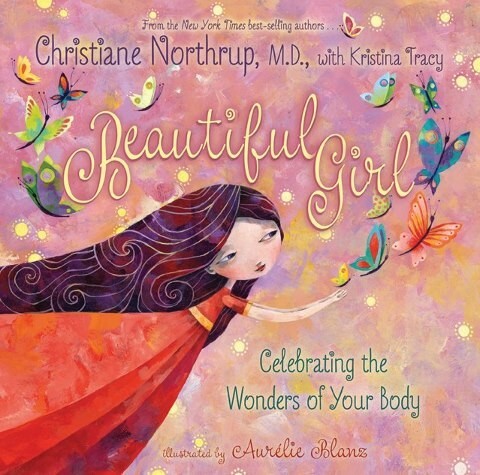 By reading this stunningly illustrated book, little girls will learn how their bodies are perfect just the way they are, the importance of treating themselves with loving care, and how changes are just a part of growing up. It even gently addresses such issues as the difference between a positive touch and a negative touch. For more books to help girls through all stages of their physical, emotional, and social development, visit A Mighty Girl's Guides for Girls section. Christiane Northrup M.D., a board-certified ob-gyn, is a visionary pioneer; a beloved authority in women’s health and wellness; and the author of the New York Times bestseller Women’s Bodies, Women’s Wisdom. Following a 25-year career in both academic medicine and private practice, Dr. Northrup now devotes her time to helping women truly flourish on all levels through tapping into their inner wisdom.